For a full-screen map view, click on the More options prompt in the box on the top left. 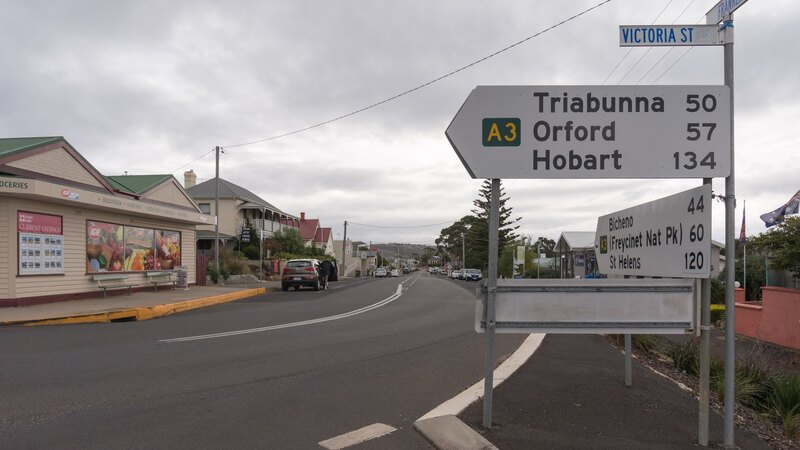 A sunny morning in Triabunna – my fortified oatmeal breakfast and two cups of coffee done, it was time to hit the road for the ride to Swansea. 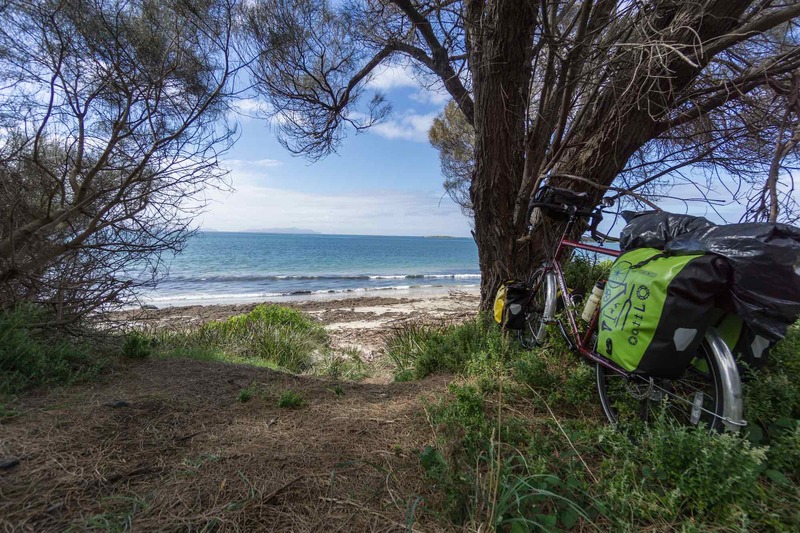 I said goodbye to my Aussie neighbour who was off to Maria Island and then checked in with the American cyclist who had arrived late the previous evening and set up his tent near the entrance. 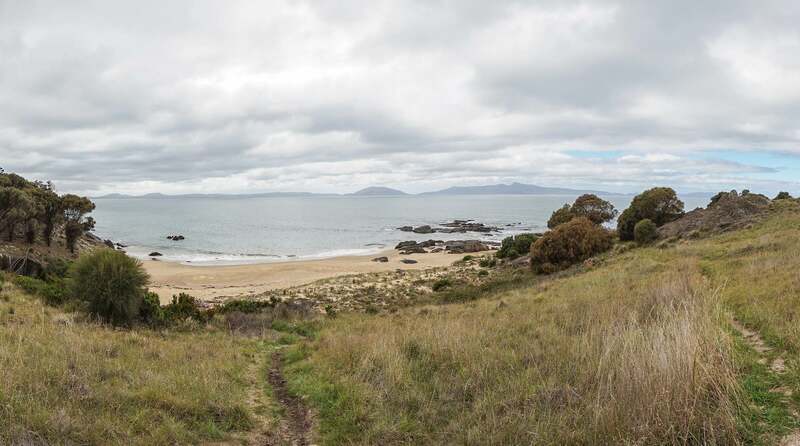 He too was off to the island – but he was taking his bicycle, which he had rented from the same Long Haul Tasmania bike rental service that I had. He said was on his way to St. Helens and I would amazingly bump into him two weeks later in Strahan on the West Coast! It turns out that by the time he got to St. Helens he decided he had spent enough time on the bike saddle. 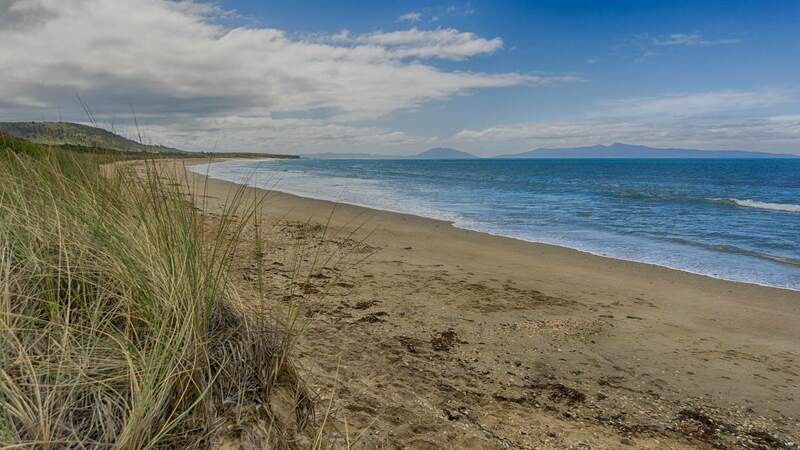 So – he had the bike rental company pick him and the bike up in St. Helens and he returned to Hobart where then rented a car to see the island in comfort! 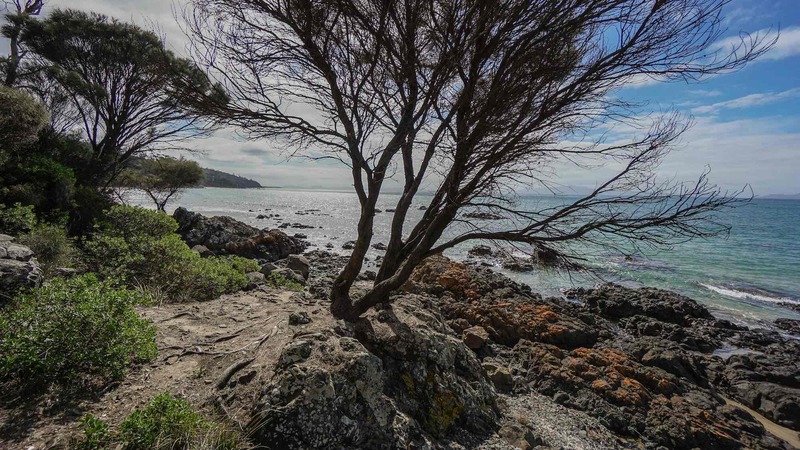 A bit further down the road from Mayfield Bay – a very nice stretch of scenic cycling – was the Kelvedon Beach Conservation Area. It gave me a reason to get off the bike and frame something other than pavement in my photos! 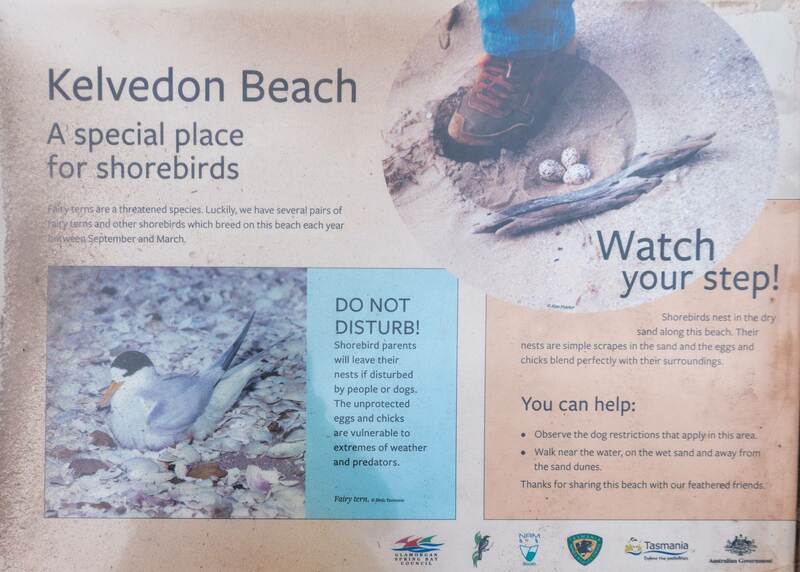 Kelvedon Beach sign – Watch Your Step! 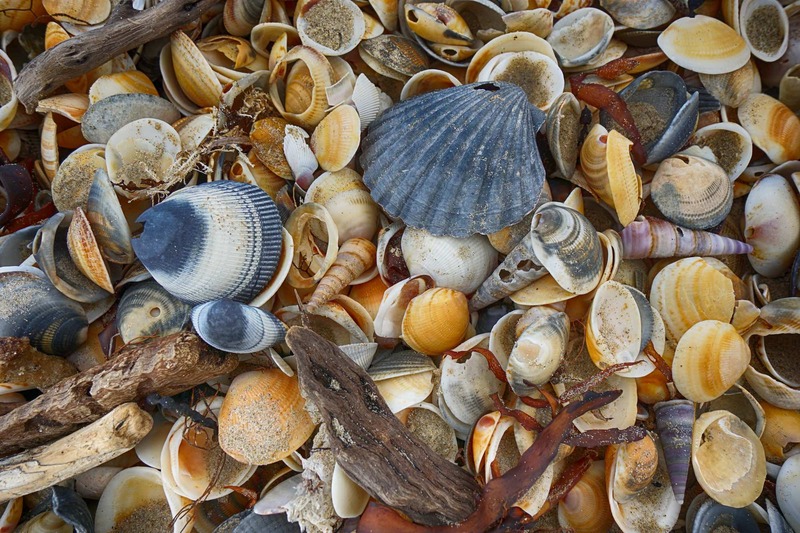 After Kelvedon Beach on to another conservation area – Spiky Beach. 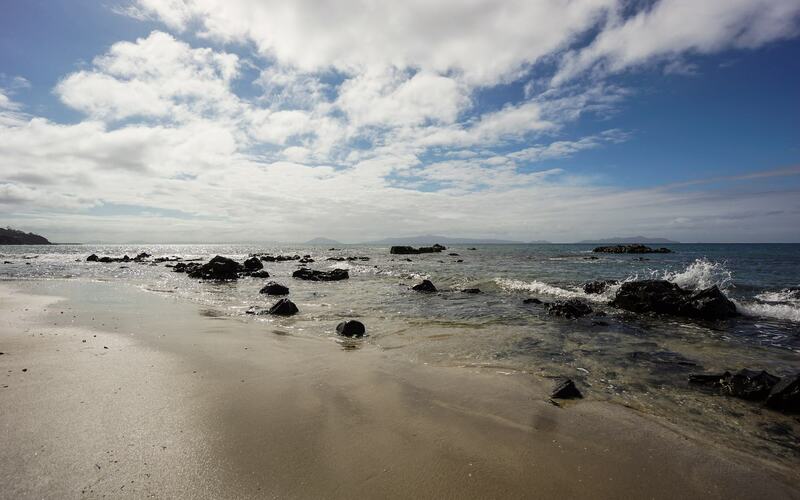 There is a turn off that takes you down steeply a pot-holed gravel road to a parking lot from where you can walk there rest of the way down to the beach. I cycled down and leaned my bike against a post and wandered down the water. Thanks to the 15mm wide-angle lens I used for the shot below, my rear wheel looks much bigger than the front one! 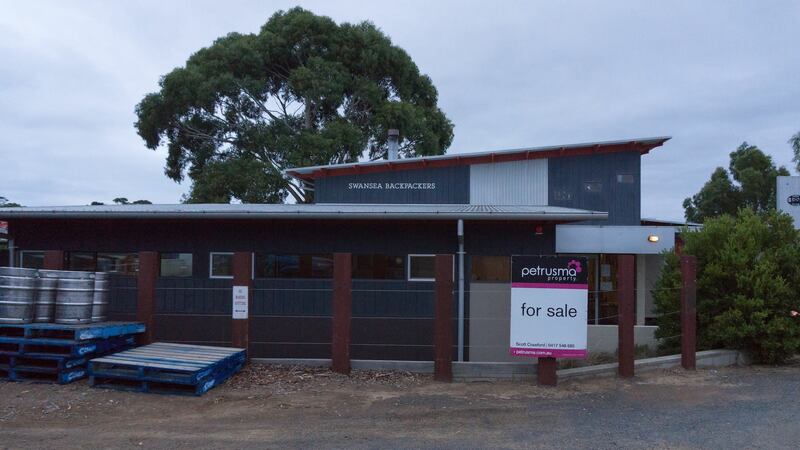 Like Triabunna, Swansea had a population of about 800 and its economy also relies heavily on tourism. I had planned to head for the Swansea Holiday Park and put up my tent but it had clouded over dramatically in the last hour as I approached the village. I figured that the Swansea Backpackers’ Hostel would be a better place to spend a rainy night – so that’s what I did. 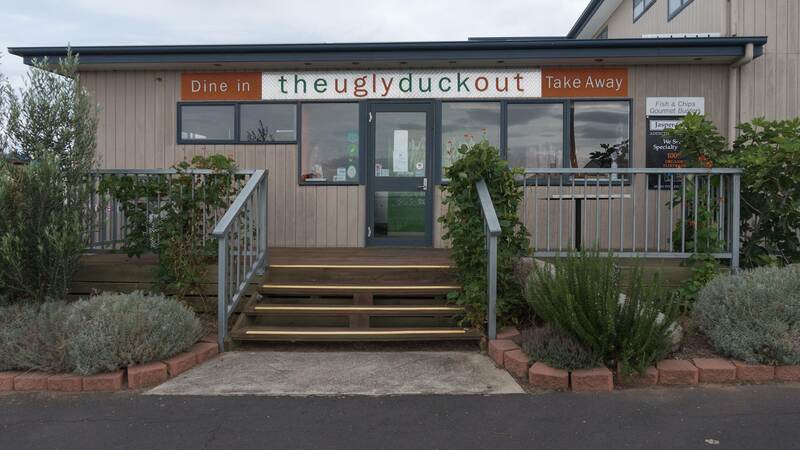 I found it at the far end of town right next to the Barkmill Tavern and Bakery – convenient! After checking in and dumping my stuff in my room – it was a room with four beds but since the hostel wasn’t really busy I would have the entire room to myself. 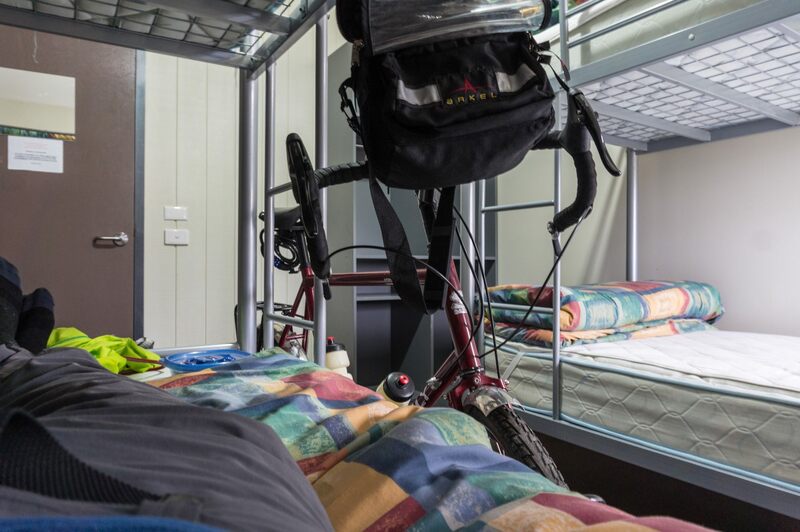 I also kept my bike in the room. Then I headed back “downtown” in search of a restaurant. 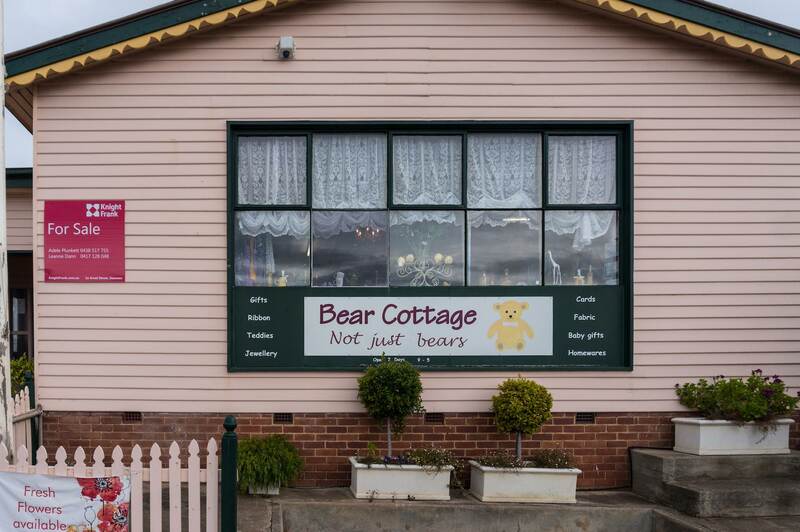 Perhaps the end of high season is the explanation for the large number of local businesses with “For Sale” signs. Take a look at the following establishments – maybe one them will strike your fancy as an investment opportunity. 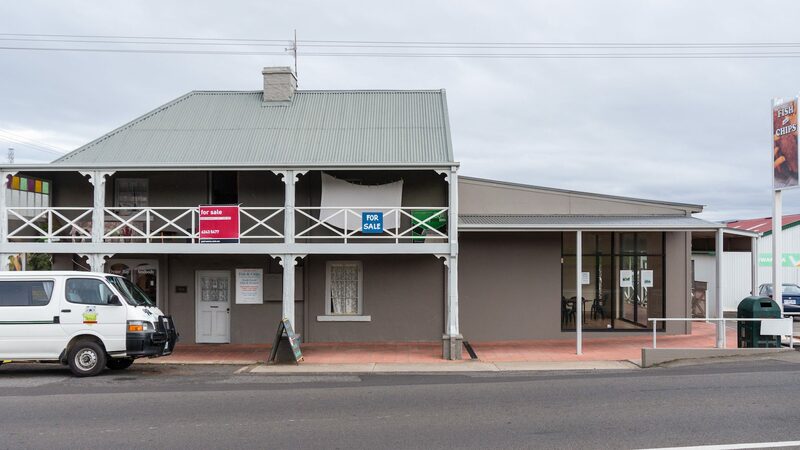 Even the Backpackers’ Hostel was up for sale! In fact, when no one answered my initial ringing of the doorbell i thought it might be closed. Someone did eventually come to the door – I was the first visitor of the day and a bit early! 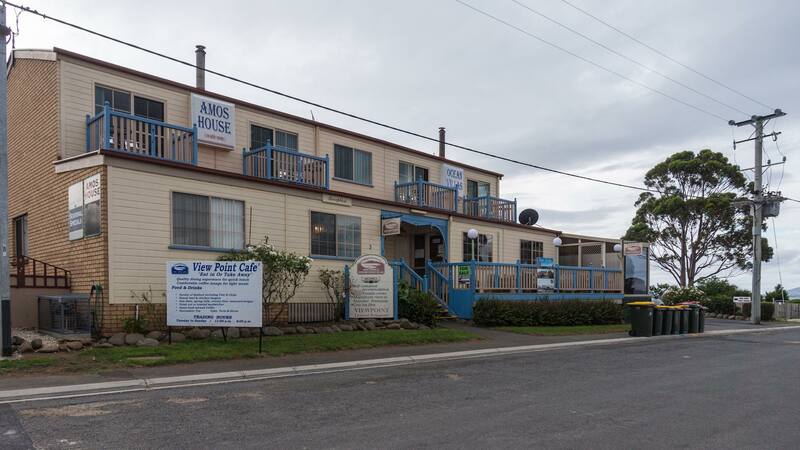 I eventually found a meal at the Amos House’s High Point Café. It was off-hour but the owner was good enough to make something – it may have been a pita sandwich with hummus and tahini. 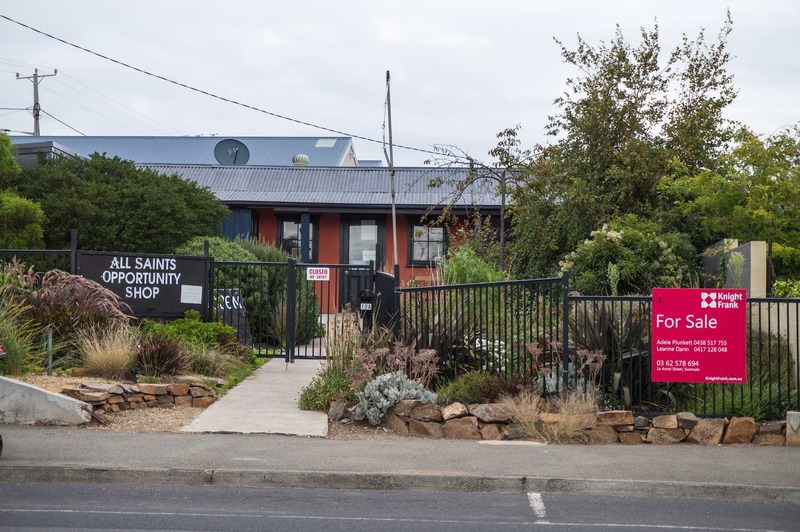 Swansea Backpackers – for sale! I cycled back to the hostel from the Amos House in the rain. Other travellers had arrived and I was able to put my German – as rusty as it is! 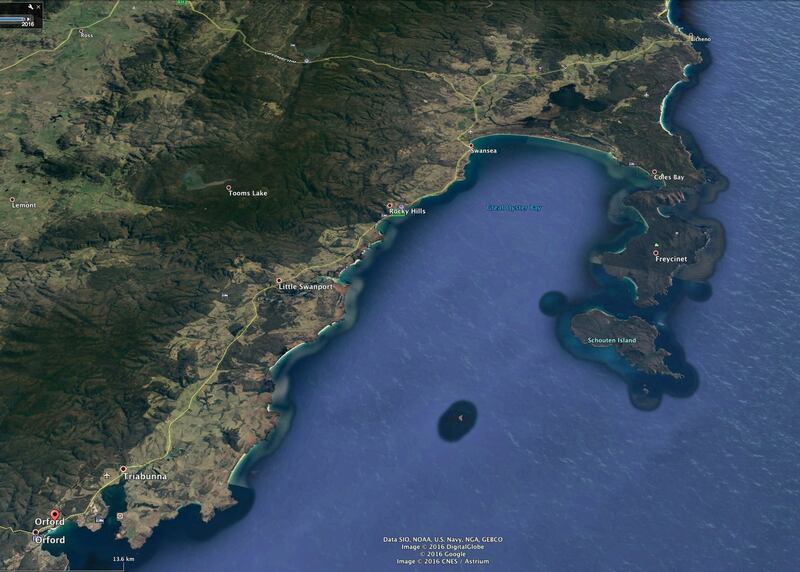 – to use as I talked to a couple from Chemnitz and a guy from Hamburg who was motorcycling Tasmania. I would bump into them again a week or two later. Given that Tasmania as a total population of 500,000, I guess it’s not that unusual! It rained most of that night and I was glad not to be in my tent at the campground on the other end of the village. 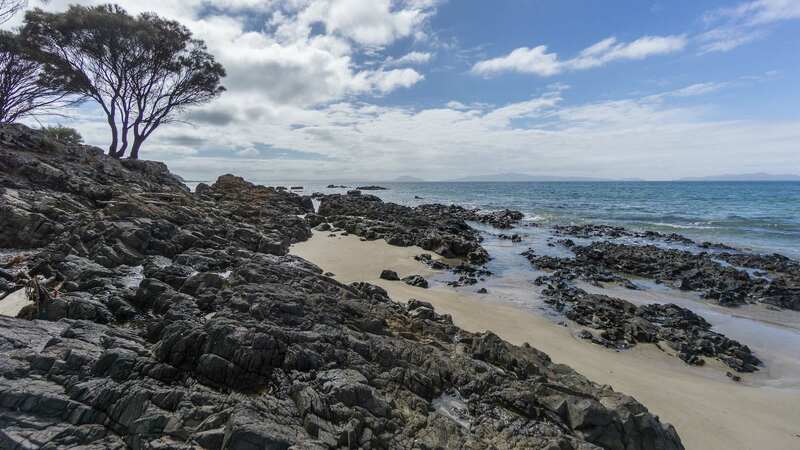 By the next morning the rain was stopped and I would have sunshine with a bit of wind as I made my way 43 kilometers up the coast to Bicheno and a tent spot at the Bicheno East Coast Holiday Park. 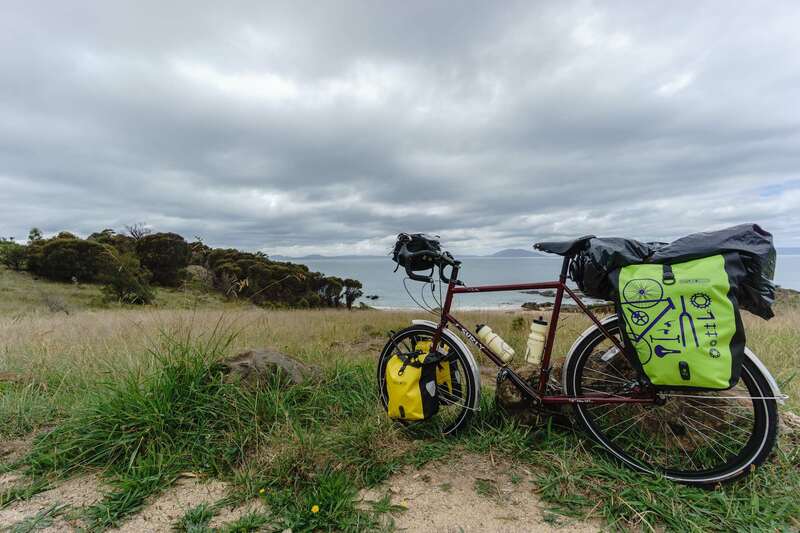 This entry was posted in bicycle touring, Tasmania and tagged Kelvedon Beach Tasmania, long haul tasmania rental, mayfield bay tasmania, Spiky Beach, Swansea Backpackers, Swansea bike, Swansea Tasmania, triabunna camping. Bookmark the permalink.